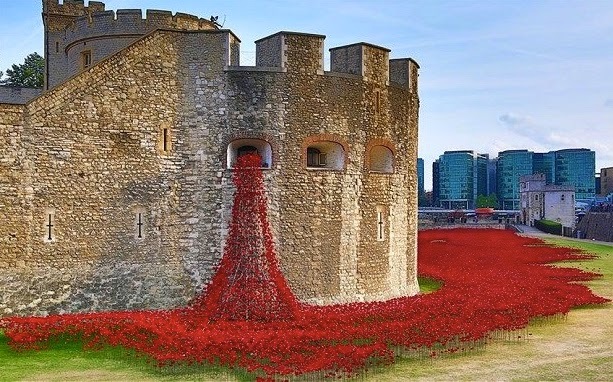 It was called Blood Swept Lands and Seas of Red and the artist responsible was Paul Cummins. 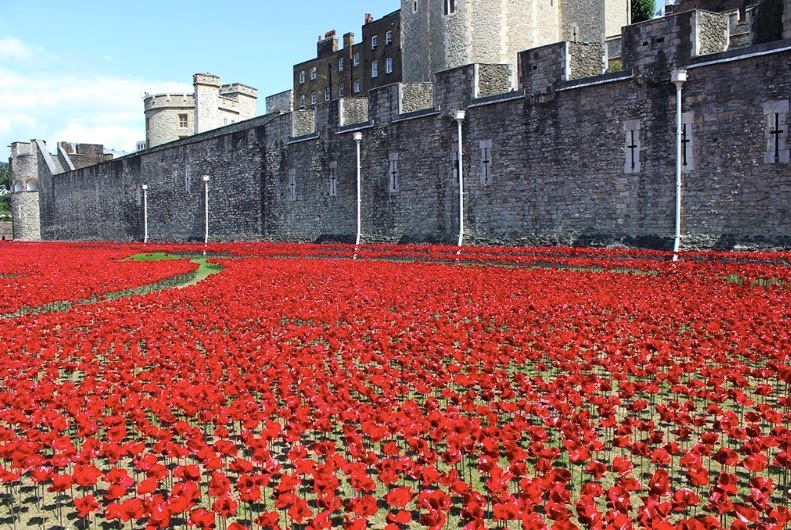 Each poppy represented a British or Colonial serviceman who died 1914-1918. The ceramic poppies were stamped from clay, shaped by hand, and fired in a kiln....then spray painted the familiar brilliant red of poppies. Secured to a stake with rubber grommets, each one of the 888, 246 were placed by hand in the surrounding area around the Tower walls in what is (was) the moat. 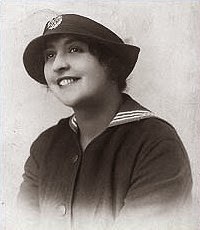 I have placed a few interesting links through the post that you might like to browse if interested. I'm sure the white stone Tower walls are no stranger to blood and pageantry. Note the arrow slits in the tower walls for defense by archers. Very visually striking display! There was even an arch of poppies over the main walk into the Tower grounds. Subsequent family members were no stranger to the Tower of London either. My paternal grand parents lived in a few areas of Kent and finally London. 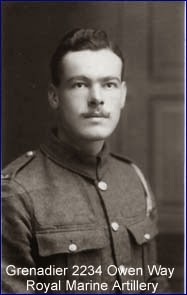 Below is my grandfather Reginald Waterfield holding an infant son Frank, who is my Dad. They are standing at an iron railing by the Tower of London, circa 1931-1932. Grand Dad was an old time plasterer and did the wall and ceiling decorations in many stately manor homes around the south of England. His wife, my Nana, was in domestic service at a manor and this is how they met. Not really 'Downton Abbey' but perhaps the poor man's version! 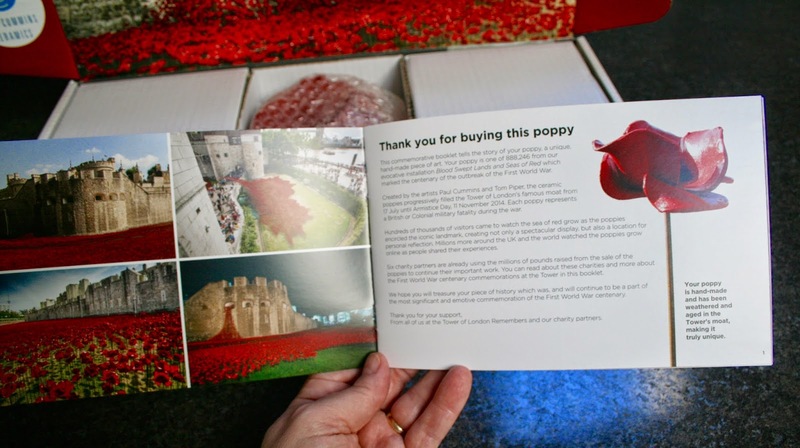 It just so happened that in late July, early August last year my brother and his fiance Jacquie were in London as they were just beginning to set out the poppy installation. 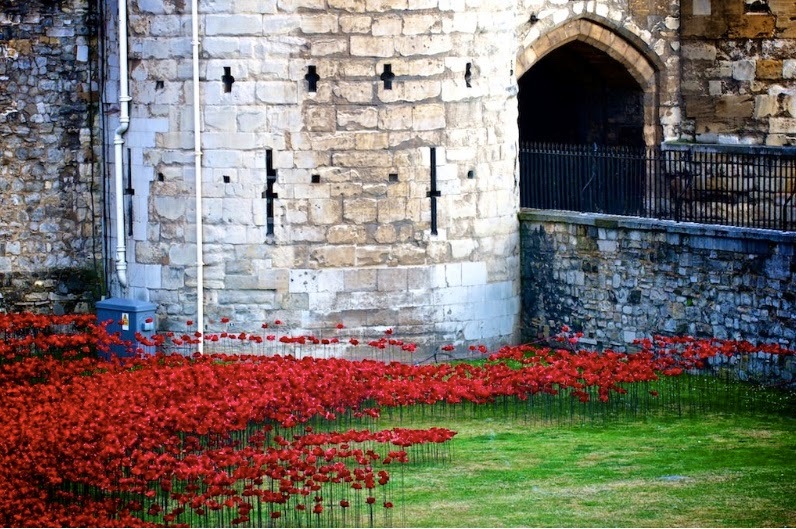 Here's a photo taken by Kent of one side of the Tower of London.... and around the corner the poppies were just starting to be laid out to create the walking paths. We decided to purchase a poppy last September and then we had a very long, long wait. 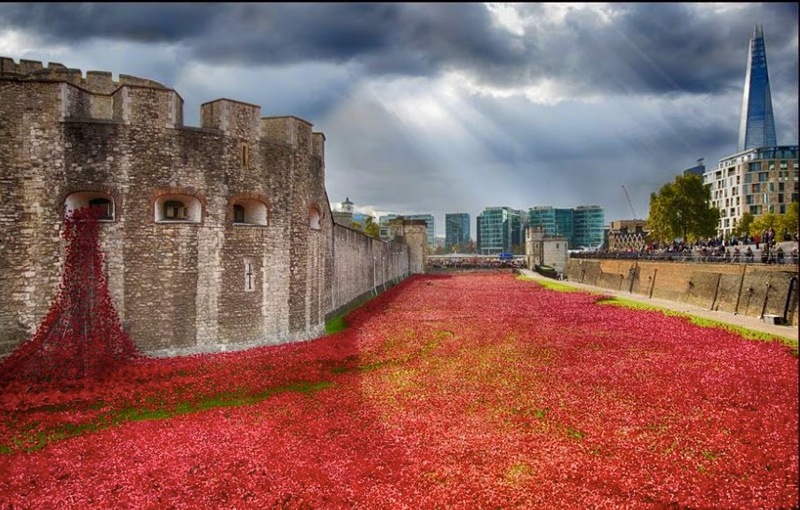 The poppies were left in the moat until Remembrance Day, November 11th, 2014 and the services held for the fallen. 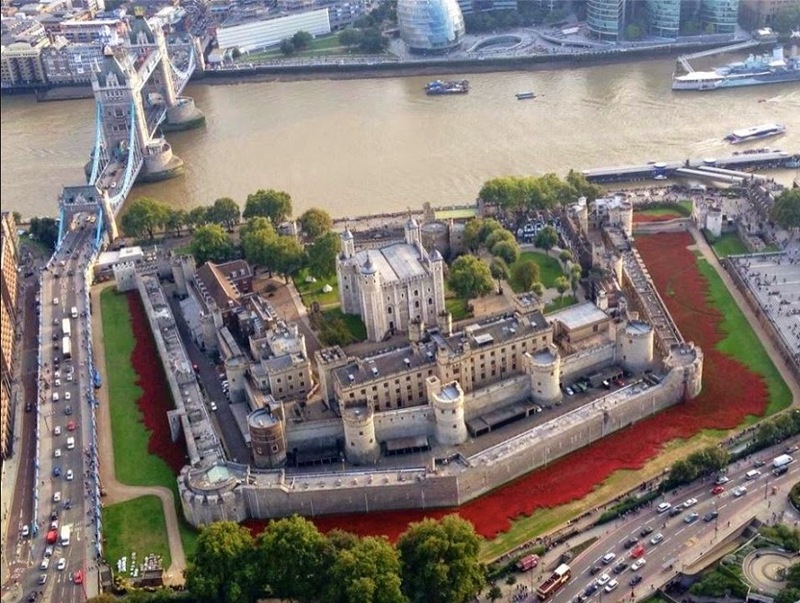 The people wanted the poppies to stay longer and some even wanted it to be permanent! But the next day the dismantling began. One by one they were collected dismantled from the their stakes and trays loads of flowers went through a washing and drying process. 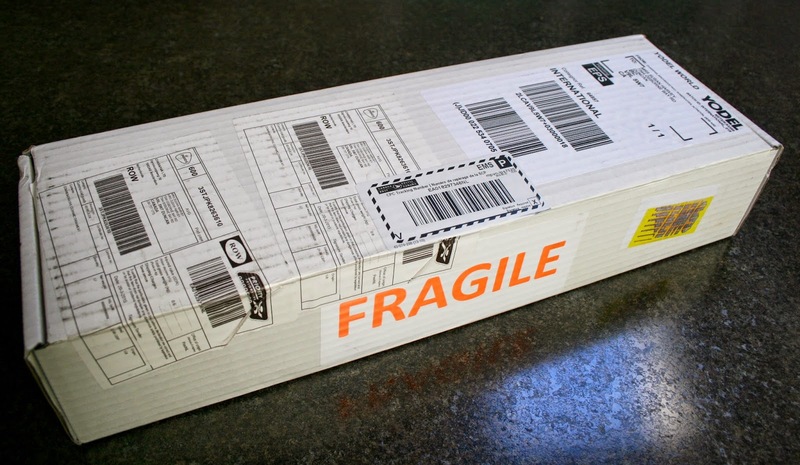 Packing and parceling up and then posted to all parts of the world. We just received ours last week! ... and a wonderful brochure of the entire anniversary event. 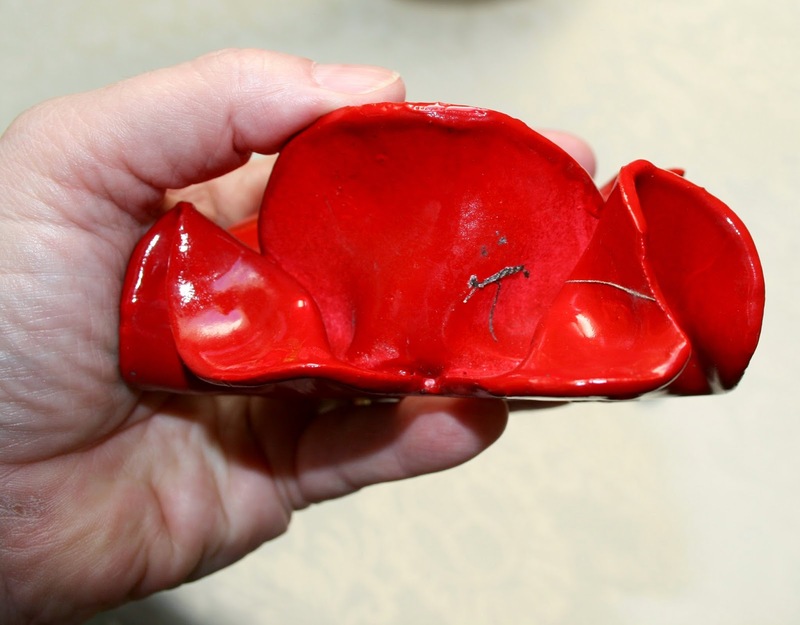 The interior allows for three poppies but there was our one nestled in bubble wrap and its own little cubby hole in the centre. 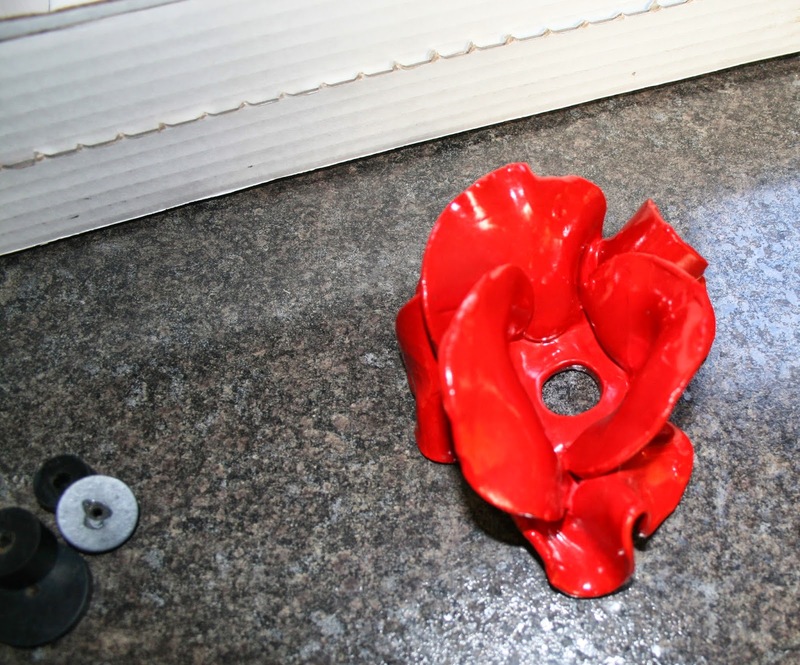 The poppy is a substantial size and the red paint coating is quite thickly applied. Just some spots where it rested to dry. But when you consider the sheer numbers made, fired and painted, the quality is amazing. The black rubber centre pieces also come along if you wish to mount it. Then I saw our extra bit of history! The flowers stood out doors in wind, sun and rain for months and so were washed and dried.....but some small bits of Tower of London grass still clings to the edge of the petal! We won't be washing or removing this! 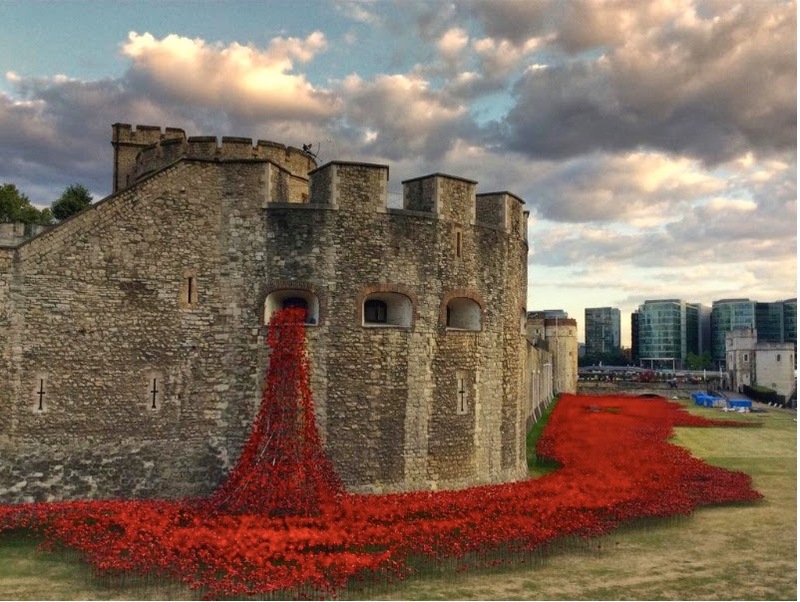 We are absolutely delighted to announce that the ceramic poppies from the installation Blood Swept Lands and Seas of Red have all been sold. 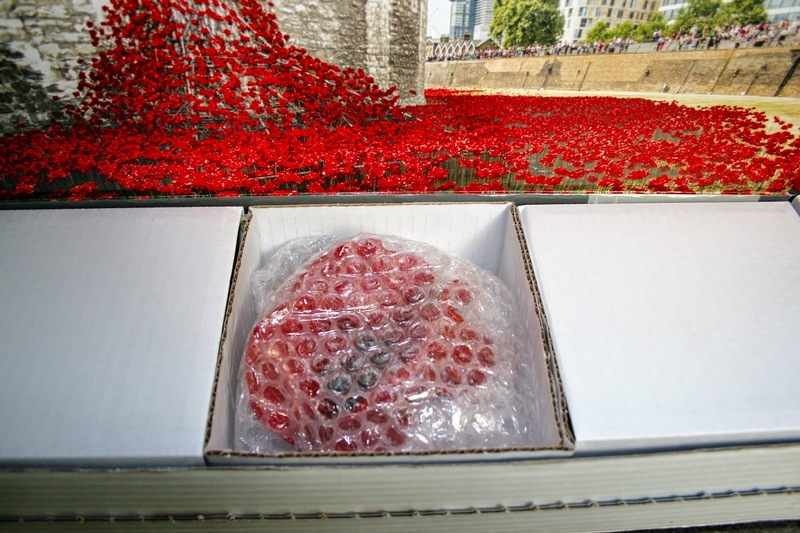 To date over 860,000 poppies have been delivered to their new owners. We are making the final few UK deliveries over the next week, with all international deliveries expected to be completed by the end of April. A project of this size and scale has been both rewarding and challenging. We are grateful for your patience while the poppies were being delivered. Each of the service charity partners has received a staggering £1.2m and you can find out here how they are already using this money to help their causes. We anticipate that this figure will rise even further once we complete our accounts. For information about poppy delivery, contact our delivery partner at this page. 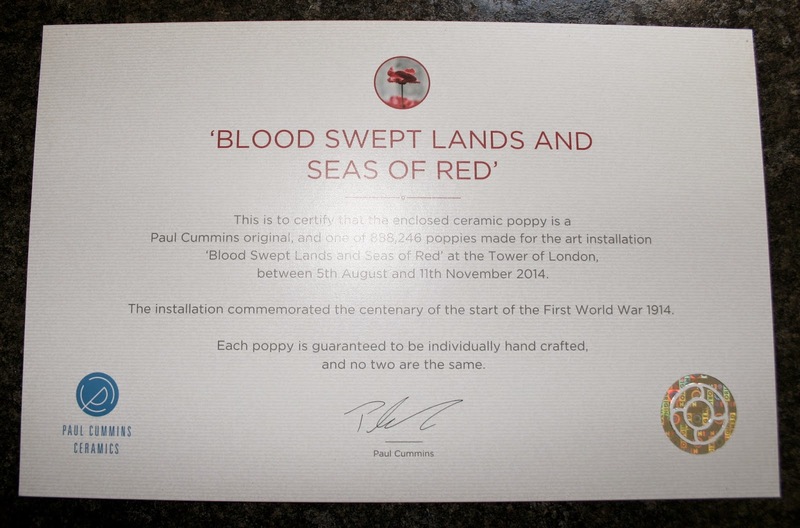 For product information about the ceramic poppies and work by Paul Cummins, contact this email address. 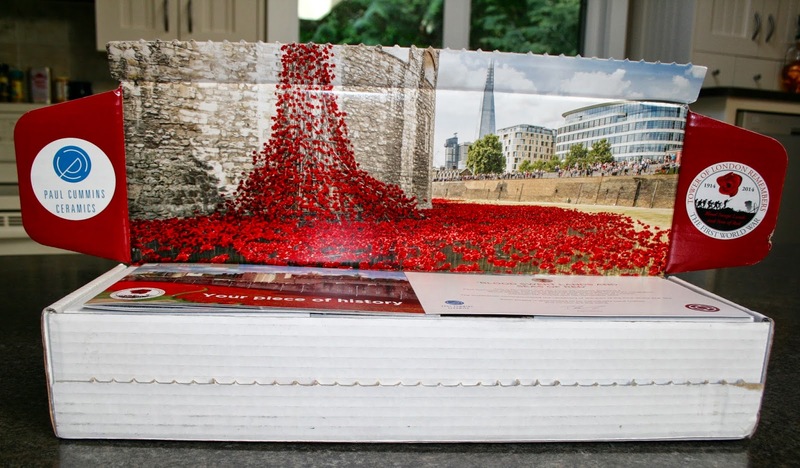 For information about the Tower of London Remembers project, visit this page. On behalf of the whole team and our charity partners we offer our heartfelt thanks for all your support. Paul Cummins is an international ceramic artist with a passion for hand-making ceramic pieces inspired by nature. Over the last ten years Paul has worked on over 30 commissions, exhibiting all over the world. Tom Piper has been Associate Designer for the Royal Shakespeare Company since 2004, and was closely involved in the redevelopment of the Royal Shakespeare Theatre. His theatre credits include over 30 productions for the RSC, including the award-winning History series. So, some of the money we paid went to charitable British Servicemen organizations. I have a cousin who served in the British Army and served in Bosnia and the first Gulf War. We are very happy with all aspects of the Anniversary project. 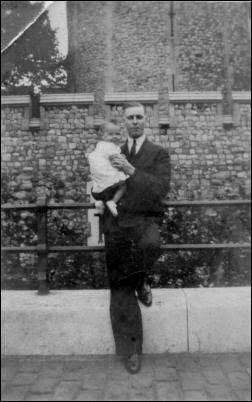 Please meet my Dad, who was the little baby Frank being held by his Dad by the Tower of London. ... and here he is modelling his new silk / yak fine herringbone twill scarf, woven by me. Sadly we have received medical word that Dad won't be with us for many more days or weeks as he transitions into most likely a hospice setting. I know you'll understand if I may not post very often for the next while as we visit and spend time with Dad and family, but I will continue to weave when I can as I find that calming. 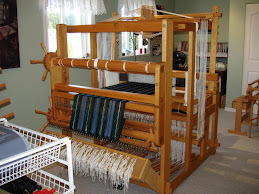 Its a long eight yard continuous warp for 2/2 twill plaid towels and I'll post about them once they are complete.